As the days get shorter, much of the garden slips into a winter slumber. Some herbaceous perennials retreat below ground, the last annuals succumb to frost and dormant deciduous shrubs and trees shed a carpet of colourful leaves. It can feel like the finale to the gardening year, and time to hunker down indoors until spring. 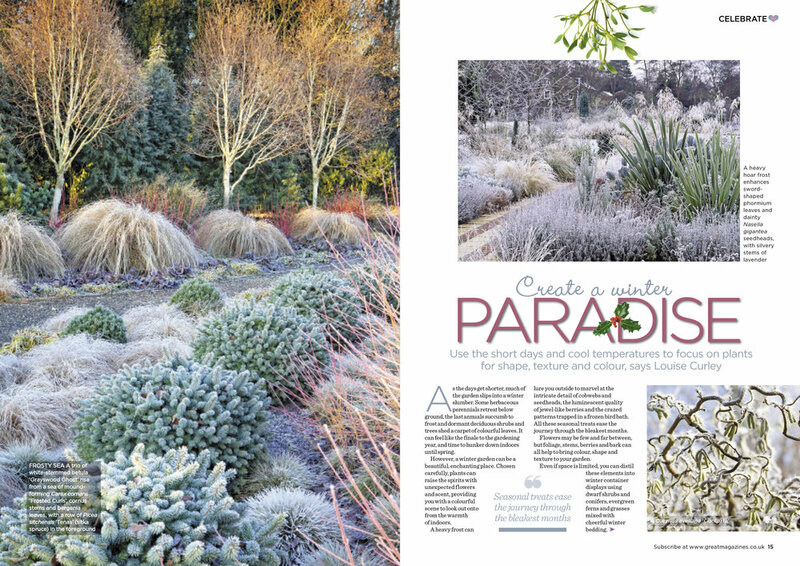 However, a winter garden can be a beautiful, enchanting place. 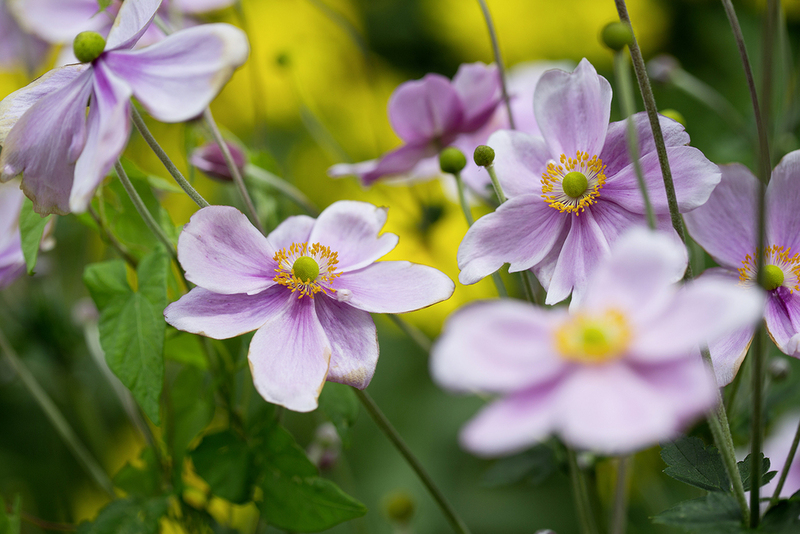 Chosen carefully, plants can raise the spirits with unexpected flowers and scent, providing you with a colourful scene to look out onto from the warmth of indoors. A heavy frost can lure you outside to marvel at the intricate detail of cobwebs and seedheads, the luminescent quality of jewel-like berries and the crazed patterns trapped in a frozen bird bath. All these seasonal treats ease the journey through the bleakest months. Flowers may be few and far between, but foliage, stems, berries and bark can all help to bring colour, shape and texture to your garden. 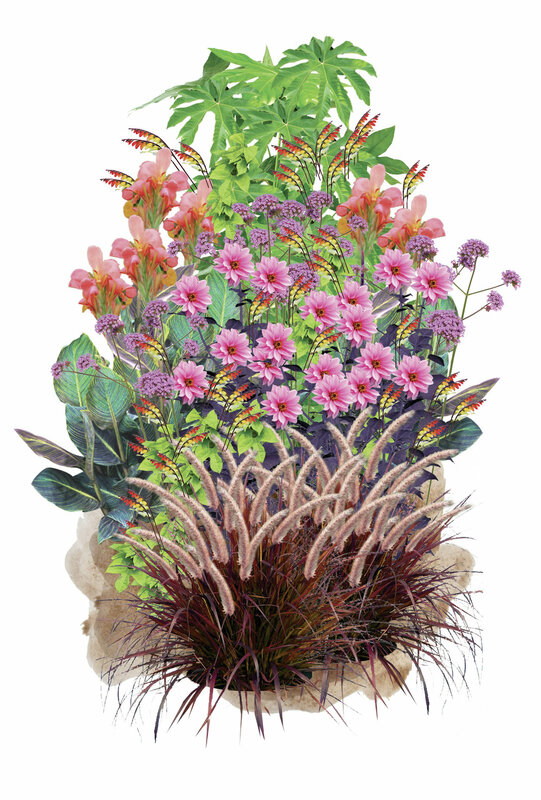 Even if space is limited, you can distil these elements into winter container displays using dwarf shrubs and conifers, evergreen ferns and grasses mixed with cheerful winter bedding. 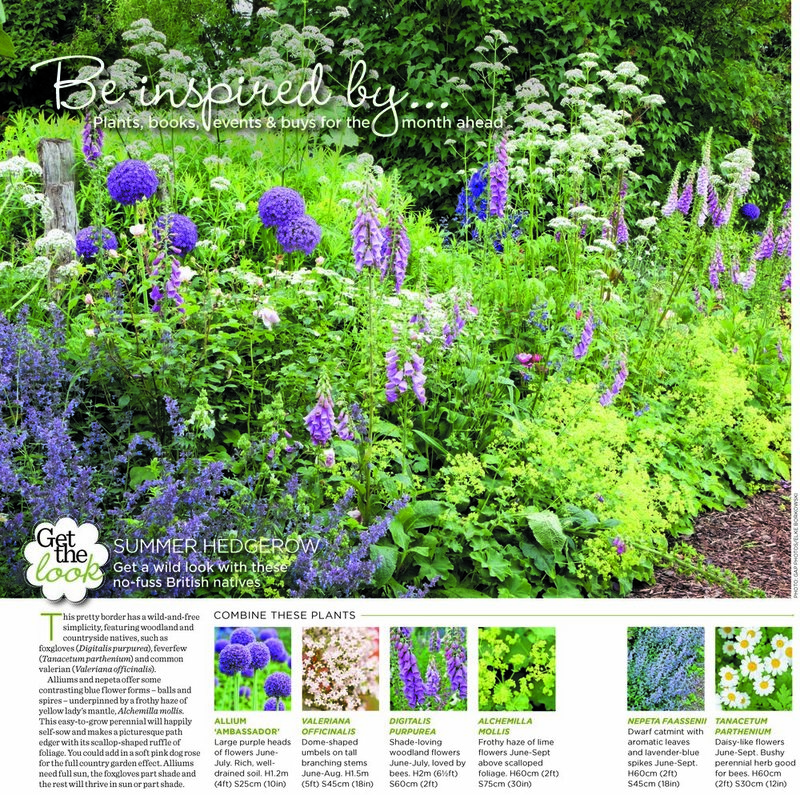 This planting scheme is inspired by the exotic garden at Great Dixter. It’s 25 years since Christopher Lloyd ripped out the old rose garden in order to create this exotic wonderland. Together with his gardening protégé, Fergus Garrett, they converted the once-formal space into a fantasy garden filled with colourful, jungly plants like this stunning combination of dahlias, verbena and ipomoea. 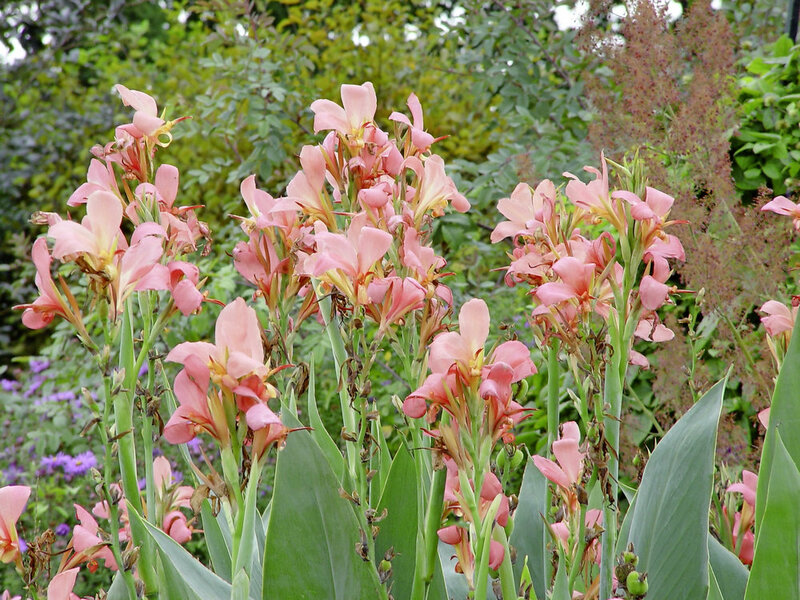 The resulting late summer and autumn profusion inspired a seismic shift in planting styles across the country whose influence continues to resonate today. If you’re after a tip-top display you really want to spoil this planting. Give it your best, sunniest site sheltered from strong winds and be prepared to seriously improve your soil to ensure fertile growing conditions. Annual mulching with well-rotted organic matter as well as digging in further material at every planting will also help. Be prepared to water deeply during prolonged dry spells. 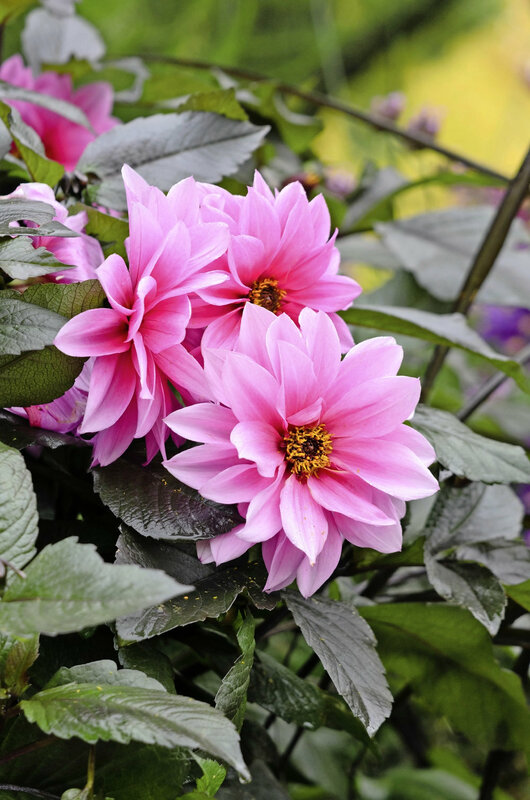 Order the dahlia tubers and the canna rhizomes now and you’ll be able to forget about them until they arrive in the post next February or March. Pot them up and grow them on in a frost free greenhouse before planting out in late May. If you want to increase your stock then take cuttings from stout newly emerged shoots. Watch out for slugs and snails which can decimate young foliage. ‘Fascination’ is a relatively short cultivar but it’s still worth putting in a cane when you plant so that you have the option to support shoots with twine if needed. Deadhead every time you pass to keep the display coming. Once plants have turned black from the first frosts you can either cut them back and dig up the tubers to store in barely damp old potting compost in a frost free shed, or leave them in situ covered with a protective dry mulch. Unless you live in a very sheltered part of the country and on free-draining soil, it’s not worth the risk of leaving plants in the ground over winter, even with a protective mulch. Instead, wait for the first frosts then cut back plants and lift as a single clump to store surrounded by old potting compost kept damp in a frost-free shed. Next spring large plants can be divided and potted up, making sure each new section has several growing buds. 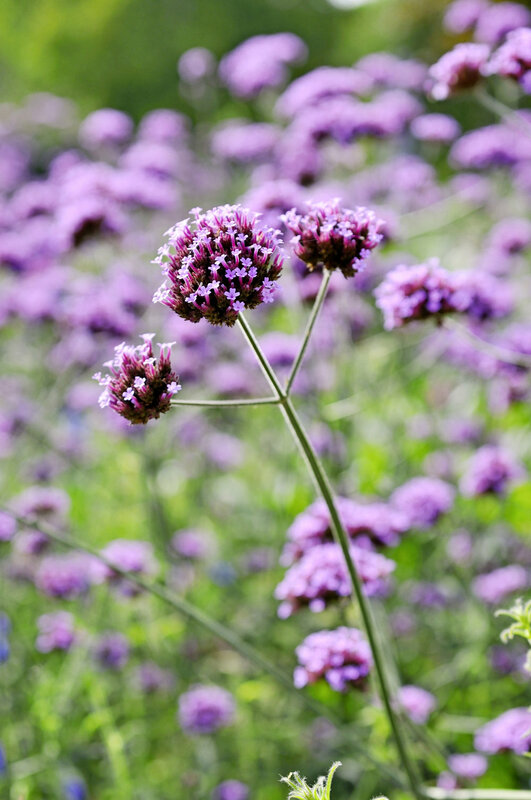 Verbena bonariensis is a doddle to grow from seed, you just need to give them an early start. Sow under cover in March using a warm windowsill or heated propagator at around 20C (68F). A more expensive option is to pick up young plants in late spring. Once they’re established you’ll find they self-sow and seedlings start to pop up around the garden often in unusual yet welcome places like paving cracks or sections of gravel. 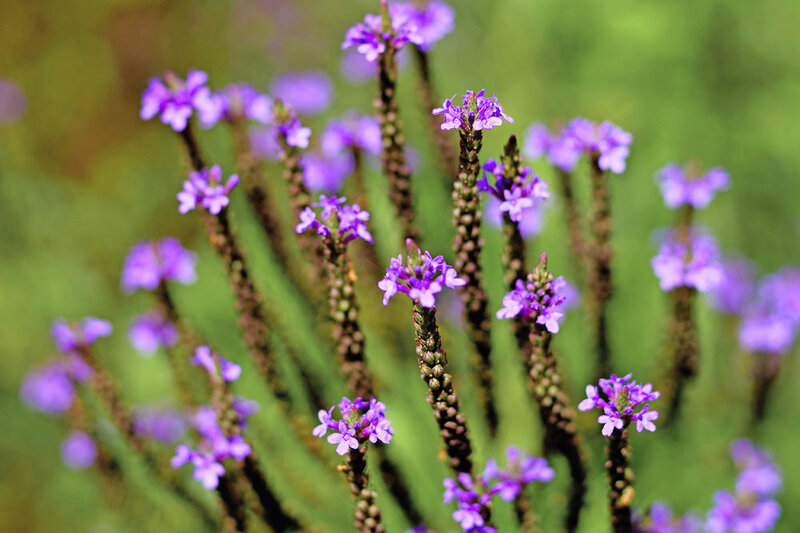 Plants are short-lived perennials and overwinter best on well-drained soil. A dry winter mulch helps get them through the coldest spells. Resist cutting back the top growth until new shoots are growing the following spring. Sow seeds in mid-April to May in the greenhouse. Seeds are large and easy to handle with good germination rates so sow one seed to a pot and use a propagator to maintain a cosy temperature (around 21C/70F). Soaking or nicking seed isn’t essential. Pot on before planting out in early June when nights should have warmed up. 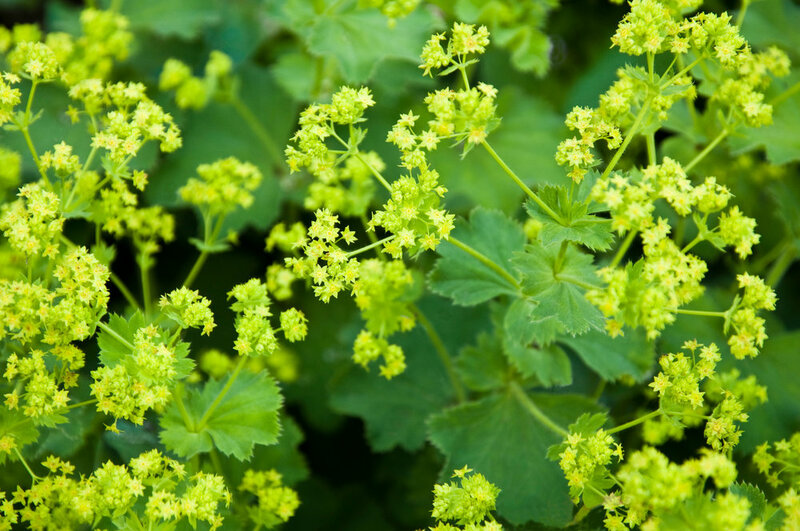 These plants will cope with shade as well as sunshine, just avoid too much nitrogen in the planting site or you’ll run the risk of over enthusiastic foliage with little in the way of flowers. They’re brilliant at rambling right through a planting, often travelling in unexpected directions. 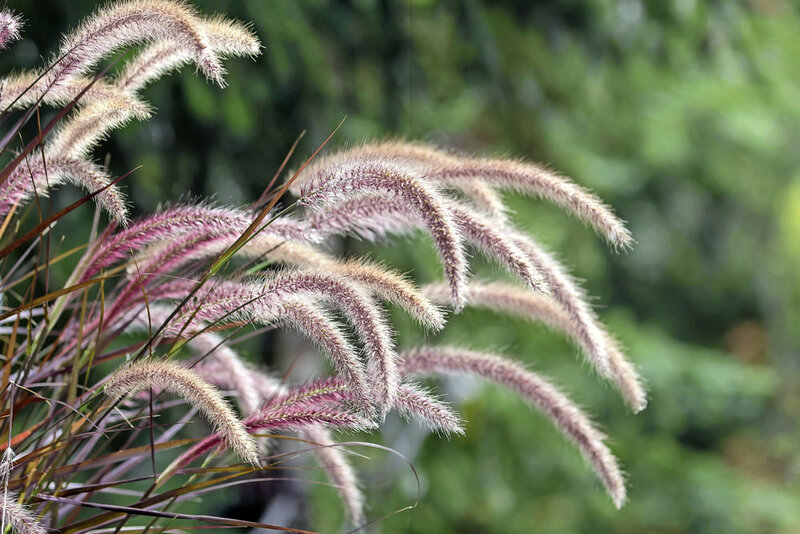 Give this tactile grass a front-of-border position so you can stroke its arching bottle-brush flowers as you pass. ‘Rubrum’ is sterile so there’s no chance of sourcing this plant from seed. Instead order plants from a specialist nursery ready for delivery in May or look out for them at your local garden centre. Youngsters are best planted out after all risk of frost. Dig up plants once frosts are threatened and move them undercover into a frost-free greenhouse. 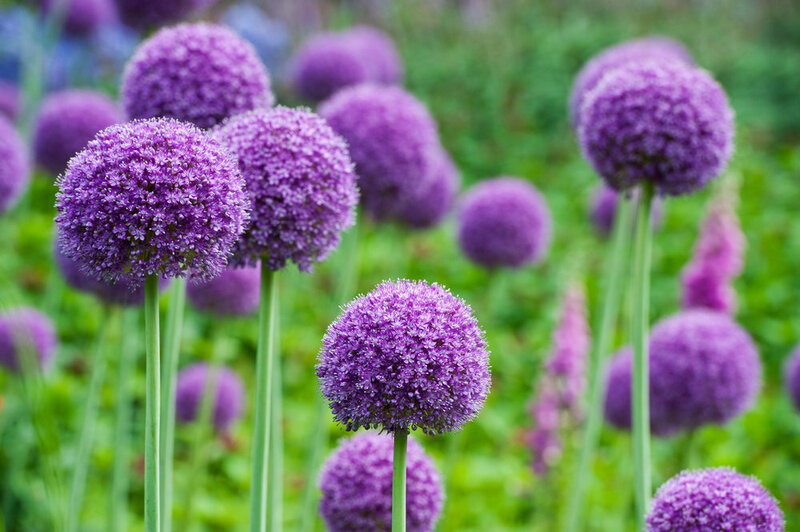 Lift them as a single large clump, cut back the top growth by half and place in a large container, filling in any gaps with old potting compost: you’re not trying to encourage new growth now. Water sparingly over winter then in spring divide into smaller clumps and pot up in fresh compost ready to plant out in late May. 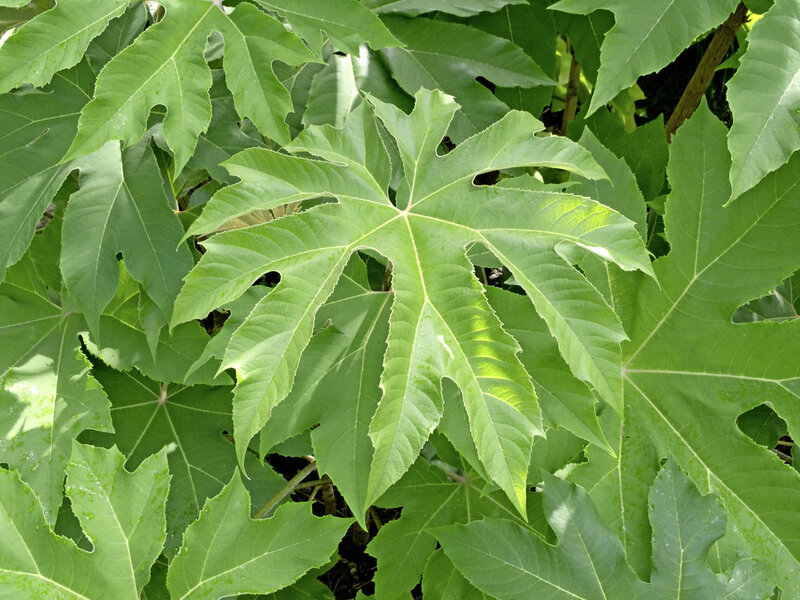 Specialist nurseries will be your best chance of tracking down young tetrapanax. 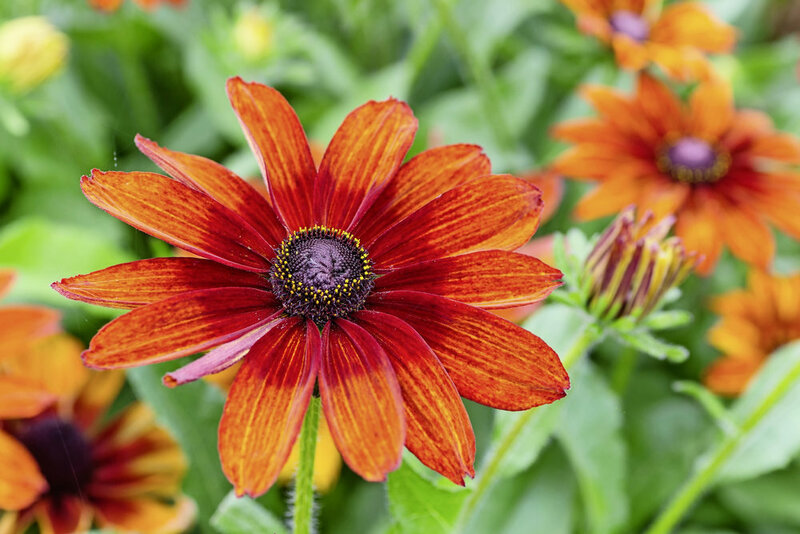 Plant out in early June allowing plenty of space from the start and further improve the ground with well-rotted organic matter – it prefers a well-drained site. In future years, severe winters will dictate how much top growth survives. Even if it’s cut back right to the ground by frost it will regrow from its roots the following year. You might also choose to coppice plants right back in early spring to encourage lots of low shrubby growth rather than a taller trunk. Remove unwanted suckers as they appear in spring: you can always pot them up as gifts for jungle-loving friends. Bees will love this nectar-rich meadow filled with purple monardas and orange heleniums. We humans can enjoy it for its vibrant flower shapes and colours, too. 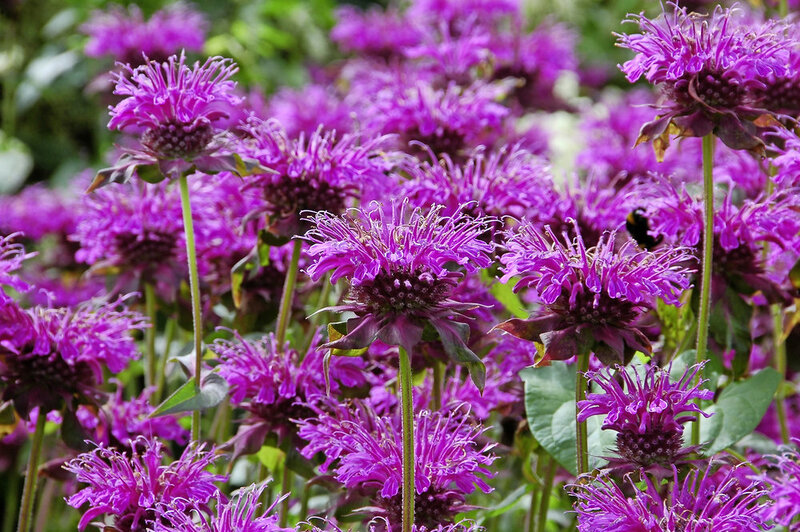 Drifts of monarda ‘Scorpion’ (a cultivar bred by Dutch plantsman Piet Oudolf) have been combined with blocks of orange-red heleniums, their petal skirts splayed out like flying pinwheels. 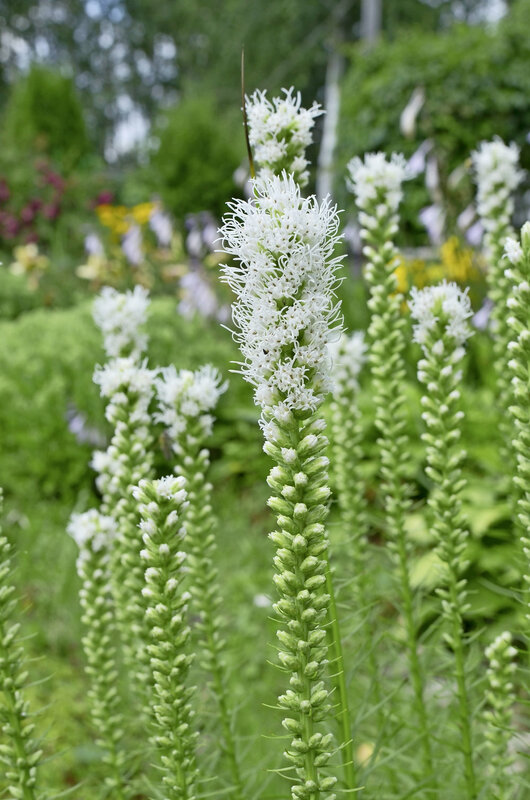 Softening the colour contrast are spires of white Veronicastrum virginicum ‘Album’, rising like bubbles in a fizzy drink. 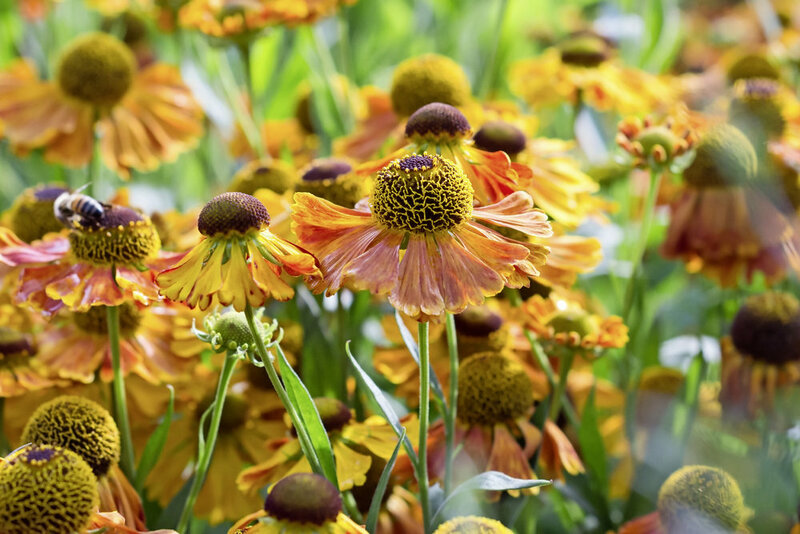 To round off the planting scheme we’d add in some Verbena hastata, white liatris and a bold annual rudbeckia, whose orange daisy flowers echo the helenium. For many gardens November is the tipping point into hibernation as flowers and foliage fade. At Knoll Gardens in Dorset it’s a different story. Home to thousands of grasses, the renowned naturalistic planting is reaching its crescendo right now. 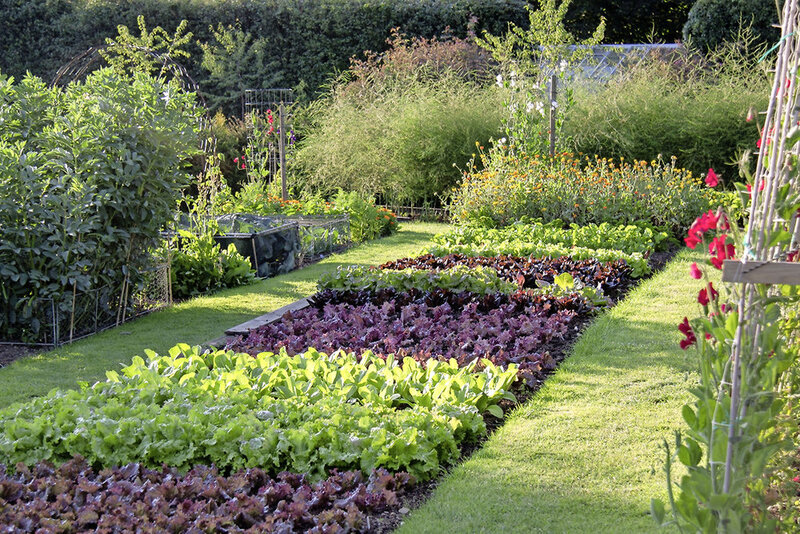 The four-acre garden had its beginnings in the early 1970s when the first nursery on the site was established on a carrot field and a scrubby patch of land. 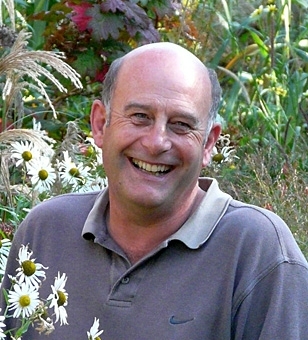 In 1994 Neil Lucas came to the garden and nursery and has since established one of the country’s most extensive collections of grasses. ‘Right plant, right place’ is very much the approach at Knoll, where planting is dictated by the soil and climate, rather than trying to grow unsuitable plants that will never thrive. The garden is also the perfect showcase for plants on sale in its award-winning nursery, and offers visitors the chance to see these plants growing in a garden setting, with inspiring ideas for planting combinations. Although primarily known for its grasses, Knoll used to be a private botanic garden and as a result it also has an impressive range of trees and shrubs. The delicate white, bell-shaped blooms of the Australian snowdrop tree (black sassafras) announce the arrival of spring as their delicate scent fills the air. 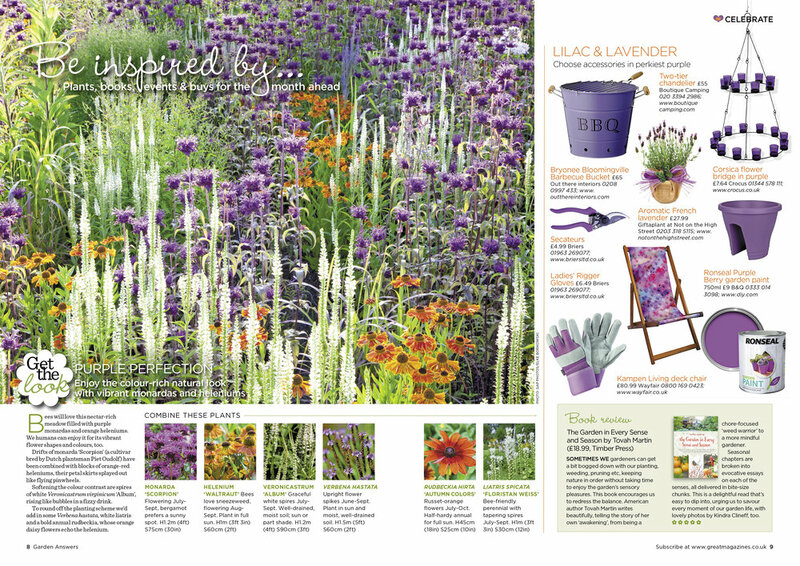 Summer highlights include herbaceous perennials and hydrangeas, but it’s late summer when Knoll hits its stride, with herbaceous perennials such as sedums, asters and the wafty stems of Verbena bonariensis forming drifts of colour. Spectacular autumn hues from trees such as Gingko biloba and shrubs like Hydrangea quercifolia light up the gardens with a fiery glow. The collection of spindle trees (euonymus), which thrive on the free-draining sandy soil, put on an eye-catching display of vivid crimson and scarlet. Impressive specimen trees include one of the best willow oaks in the country, cork oaks and a collection of magnificent eucalyptus. The Dragon Garden consisted of bedding plants, formal hedges and lawn when owner Neil Lucas first came to the site more than 20 years ago. It’s now been transformed so that a single path weaves through a swathe of grasses and perennials, which create a tall meadow effect. 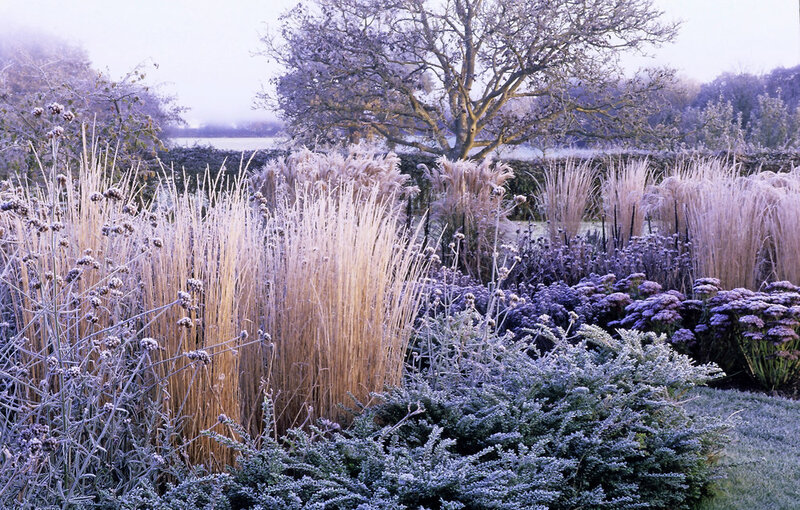 At this time of year, late autumn sunshine enhances the warm browns, golden honey and bleached blonde tones of the grasses and early morning frosts highlight the structural shapes and seedheads. 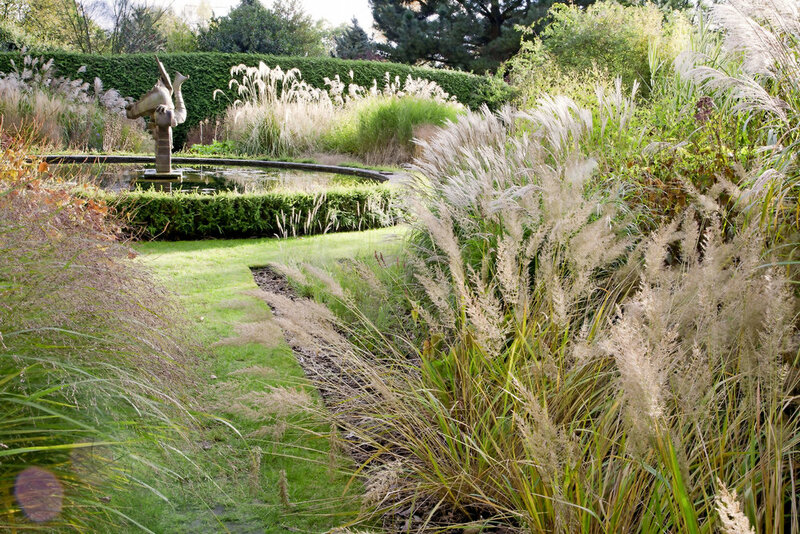 The vast range of grasses includes low-growing pennisetums that tumble over paths to towering miscanthus and calamagrostis. 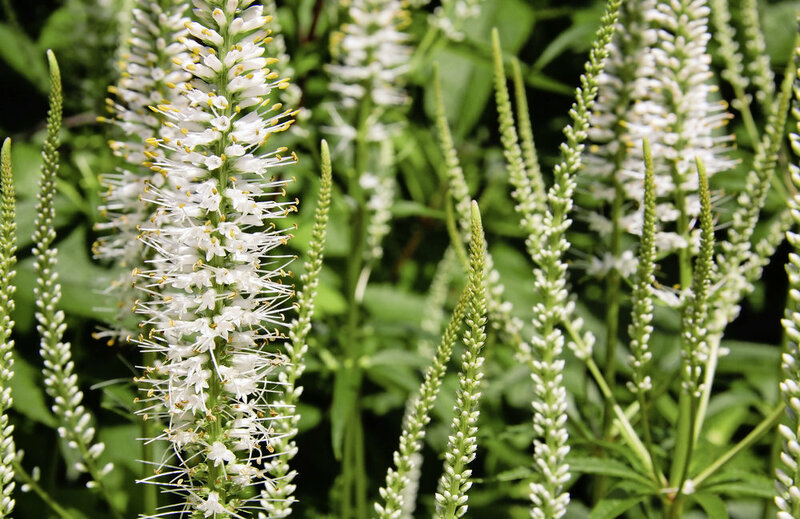 One of the most effective planting combinations here is the native grass Molinia caerulea planted in drifts along with perennials such as persicaria, scabious and sanguisorba. 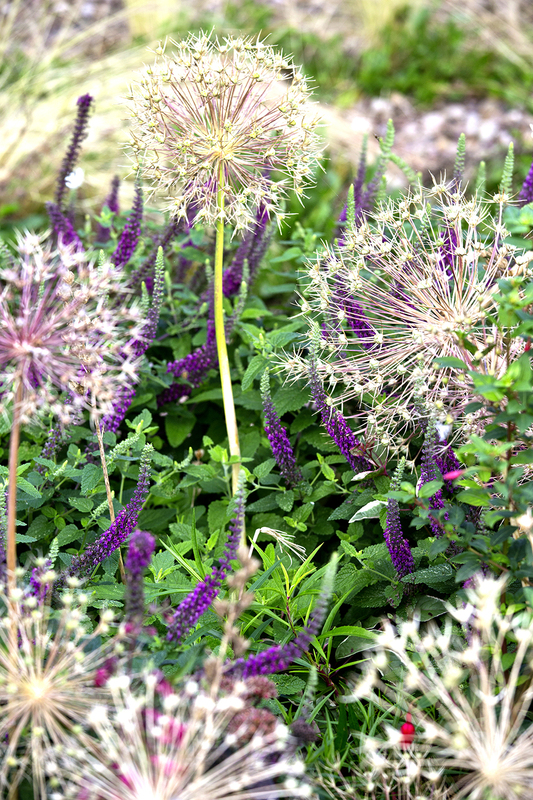 Although grasses are mostly associated with large-scale naturalistic planting schemes, such as those created by Dutch plantsman Piet Oudolf, smaller easy-care beds have been created at Knoll to show that they can be used in a more modestly sized plot. Knoll Gardens is an impressive place to visit whatever the season, but at this time of year, with the seedheads and skeletons of the grasses and perennials catching the sunlight, it’s a place that shows how there can be beauty even in the dying embers of a garden. Q. How did you come to be at Knoll? I was working and living down in Devon, and we saw an advert that said the gardens were for sale. So we – my mum, dad and myself – decided to buy it. Horticulture has always been important in the family. My grandfather, in particular, was very much into plants and especially his delphiniums. Some of my earliest memories come from summer holidays with him in his garden and watching him exhibit at the RHS Halls in London. Q. How big is the team? We have one full-time gardener, so we practice what we preach with low maintenance. We do also have half a dozen or so volunteers who come in on a Friday morning. Q. What are the main seasonal jobs? We’re a late-season garden, so we peak in interest in the second half of the year. This means we cut down in early to mid-spring and do a spring clean preparing the borders, doing any maintenance and mulching. We weed in summer and then do any structural projects later in the year. Q. In November what are you working on? November is still our peak time in the garden, so we won’t be doing a lot to the borders. But what we do try and do before Christmas is to complete one or two planting jobs. If things haven’t worked so well, there’s a gap in a border or we’ve decided to do something in a different way, we’ll take up the plants, move them around and replant. Q. 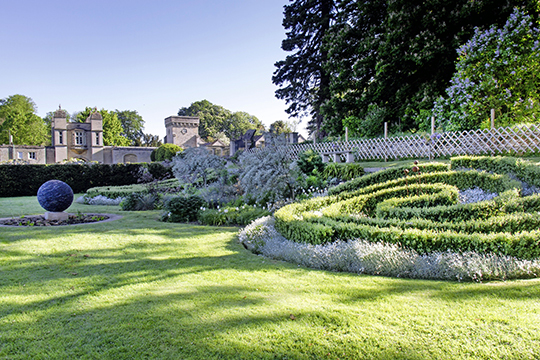 Do you have a favourite part of the garden? This year I do rather love the Dragon Garden. We took out a hedge about a year or so ago and did a lot of new planting, so it’s much more expansive now. It’s a bit reminiscent of a prairie. Q. What’s the most challenging aspect of your job? Running a small business is always highly demanding of personal time. Actually finding time to do all the necessary jobs and to be able to leave a little bit for the one or two jobs we might like to do, such as planting new areas, is always tricky. Q. What’s the best bit of your job? Playing with plants, seeing new combinations and seeing them grow and develop. It’s a real thrill to see a plant that’s happy and successful and settled into the garden. Q. Do you have any future projects that you’re planning to carry out? Our eucalyptus lawn is relatively old, the trees have got too big and are casting a lot of shade, so we’re going to redevelop that over the next few years, which will be quite a big project for us. Want to create your own ‘Zen’ courtyard? It's no wonder the Japanese style of gardening is so popular in Britain. It’s a style that can be adapted to suit even the smallest outdoor space and most of the plants are quite happy in our temperate, often drizzly climate. The preponderance of shade-lovers creates a soothing green palette too – the perfect antidote to our stressful lives, with seasonal highlights offered by delicate spring blossom and flamboyant acers in autumn. Though the style is steeped in tradition and ancient symbolism, its simple, ‘less is more’ philosophy keeps it looking up to date. Modern urban gardeners will love the clean lines, emphasis on textures and overriding sense of calm. Traditionally, Japanese gardens are miniature recreations of the natural landscape, with water represented by sand (raked into ripples), and rocks representing mountains such as Mount Horai. These two elements are the essential ‘yin and yang’ of the design and, in landscaping terms, are a good place to start. Stone lanterns and water basins are further key ingredients. The water basin was traditionally a place to wash before taking tea at a traditional tea house. Autumn is a fabulous time to have acers in the garden. Their flamboyant colours, slow growth and elegant layers of branches make them a popular choice in even the smallest of courtyard gardens. 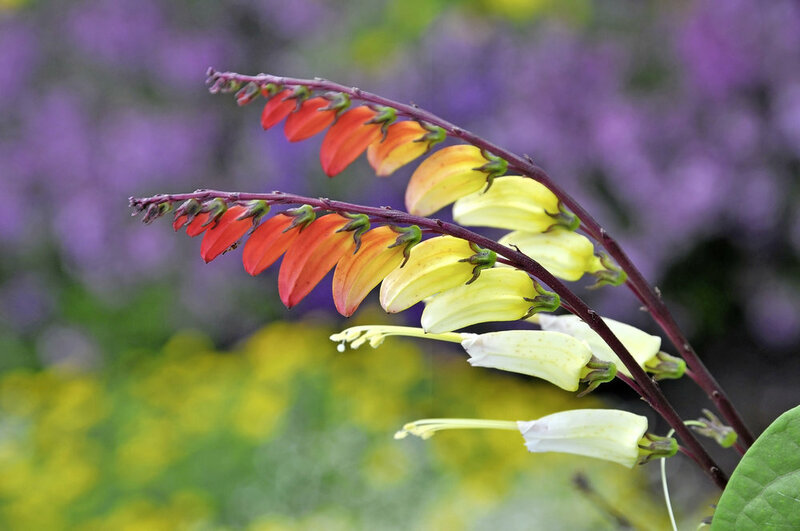 If you’re looking for partner plants to help their bonfire colours glow, it’s worth taking inspiration from the Orient. Japanese gardens have a serene atmosphere that comes in part from a calm, simplified plant palette – often just gentle greens and blues. These allow the vivid acers to take centre stage as their foliage changes colour. Japanese maples (Acer palmatum) grow best with a bit of shade and shelter. 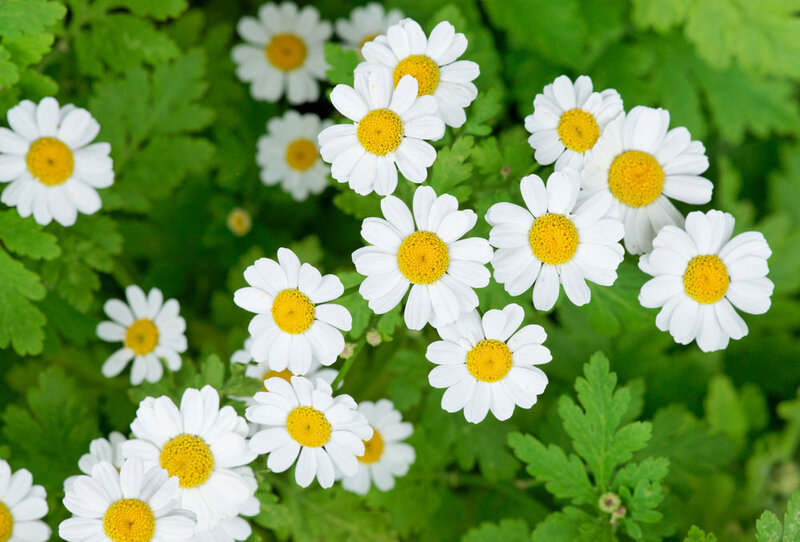 Treat them as woodland edge or ‘understorey’ plants out of direct sun – a lightly shaded corner would be ideal. 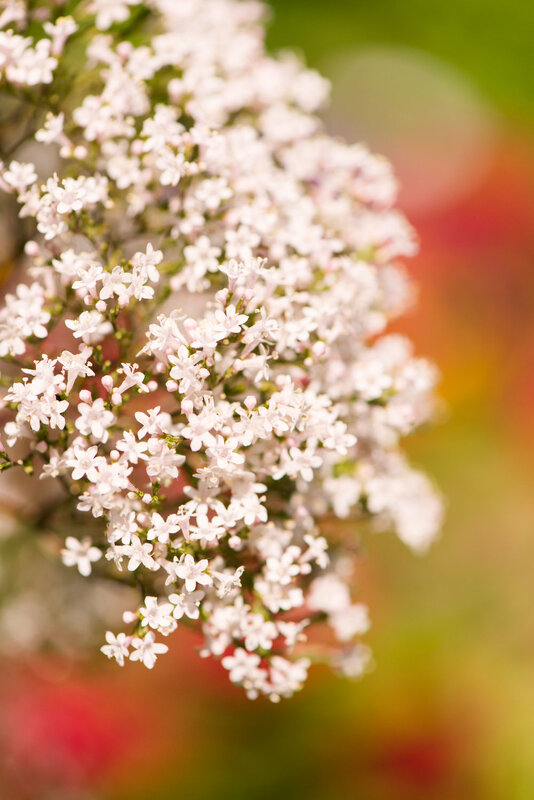 All the shrubs here will pretty much look after themselves in time, making this an easy-care planting scheme perfect for a front garden, bringing you a sense of calm every time you arrive home as well as joy to passers-by. FOR SARAH BEART gardening has always been a family affair. 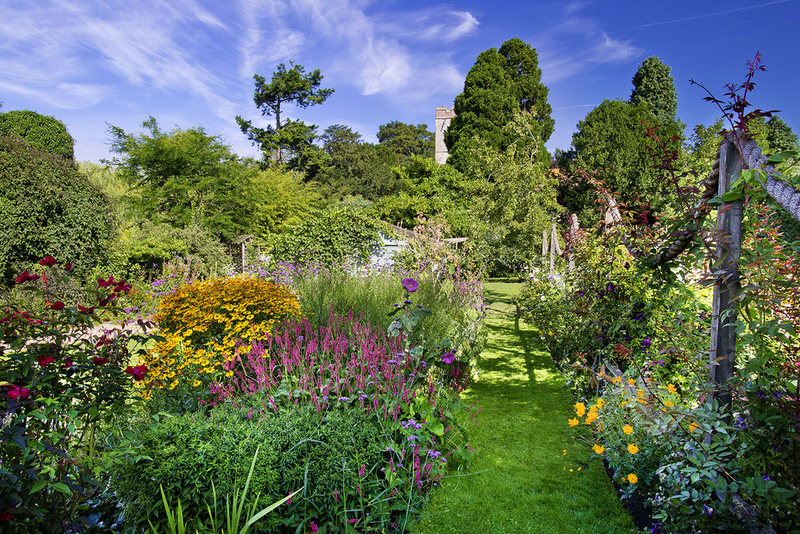 Her garden in north Norfolk reflects a gardening talent that has been fine-tuned since childhood. “My granddad used to grow sweet peas and when I was young I had my own small plot and little tools. Both my maternal grandparents’ fathers were head gardeners, so I’m sure it’s in the genes!” says Sarah. Her great-grandfathers oversaw gardens on large estates in Norfolk, where Sarah and her family still live, in a small village near the market town of King’s Lynn. 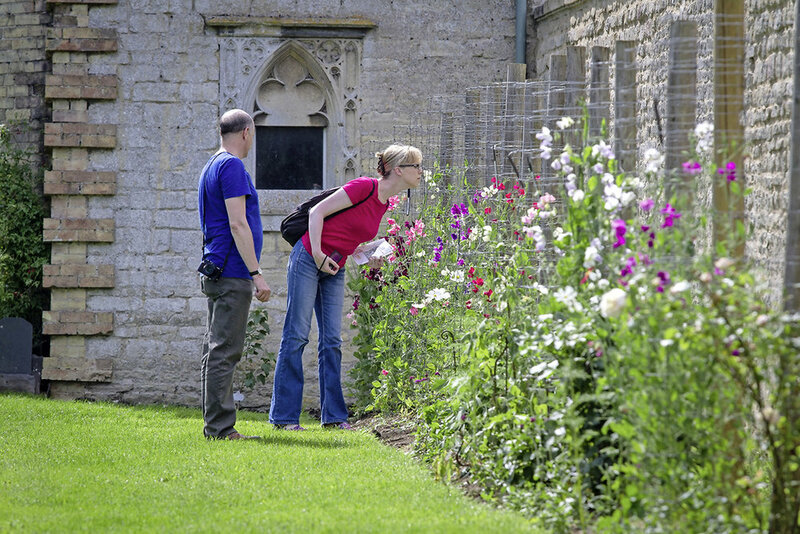 It’s a rural idyll complete with a 13th-century church that looks over the garden. Sarah’s exploring and digging revealed the bare bones of an excellent garden that, through a process of evolution, became the framework of the bright and charming cottage garden we see today – the perfect partner for Sarah’s historic cottage. 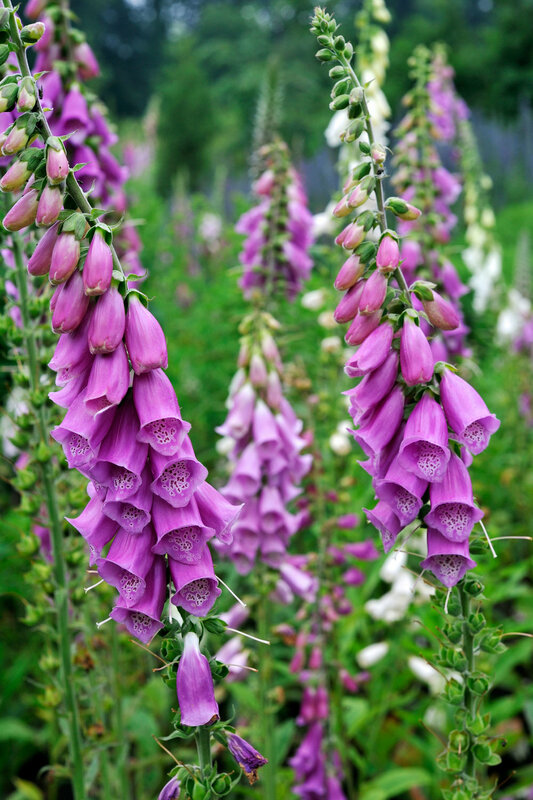 To help organise the space, the large plot is divided into three distinct areas: the main garden with its dramatic herbaceous borders, sweeping lawns and pond; a gravel garden and rockery for sun-loving alpines; and a relaxed wild flower area that’s humming with bees and butterflies. 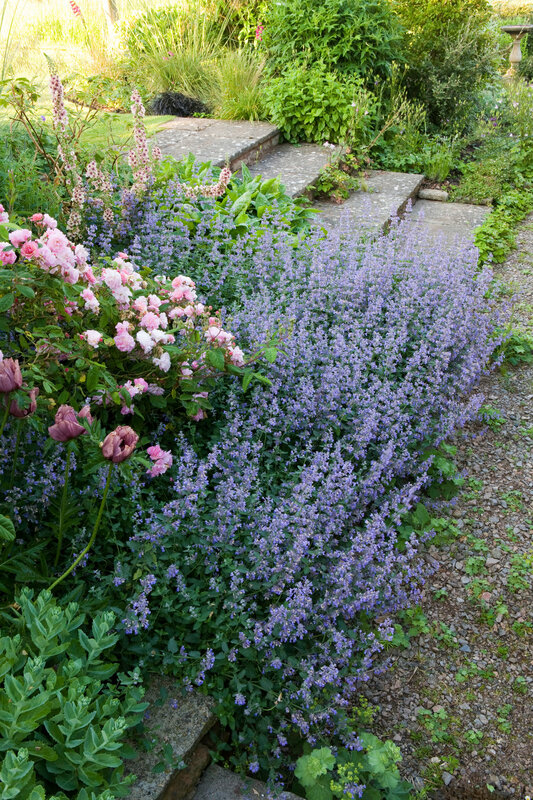 Sarah has filled her deep flower beds with vibrant, but always well-co-ordinated, colours – yellows, pinks, reds and blues, softened with cool white flowers. They also provide cut blooms for Sarah’s mum, who’s a keen flower arranger. 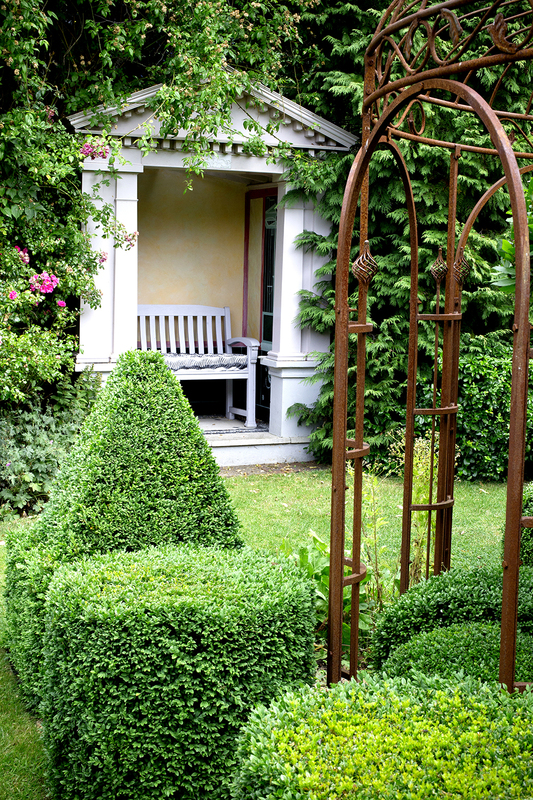 THERE'S BARELY A FLOWER in sight in Patrick de Nangle’s London garden. 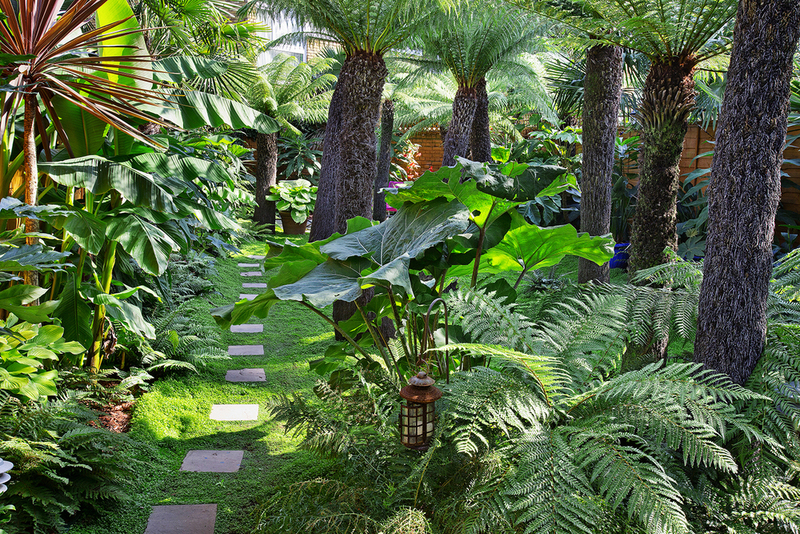 Instead this astounding urban jungle is packed with foliage plants and towering tree ferns, which is all the more astonishing when you consider the modest size of his compact back garden. Patrick first saw tree ferns growing at some botanical gardens in Hawaii, but it wasn’t until a trip to Bali that he realised he wanted to grow them himself at home. “They’d planted tree ferns with moss underneath, and I decided to create something similar here,” says Patrick. Patrick has chosen two main types of tree fern to vary the visual effect. “There’s the Australian Cyathea australis, which is seldom grown in the UK, and the more familiar Dicksonia antarctica. Cyathea australis has a scalier trunk than the dicksonia, and I prefer that textured look. My rarest specimens are the black tree fern Cyathea medullaris, the elegant Dicksonia squarrosa, and the Norfolk tree fern, Cyathea brownii, which is massive and grows to more than 30 metres (98ft). Whether it’s building a wildlife pond, planting a stipa spiral or putting up some homemade fencing, Louise loves turning her artistic ideas into reality. 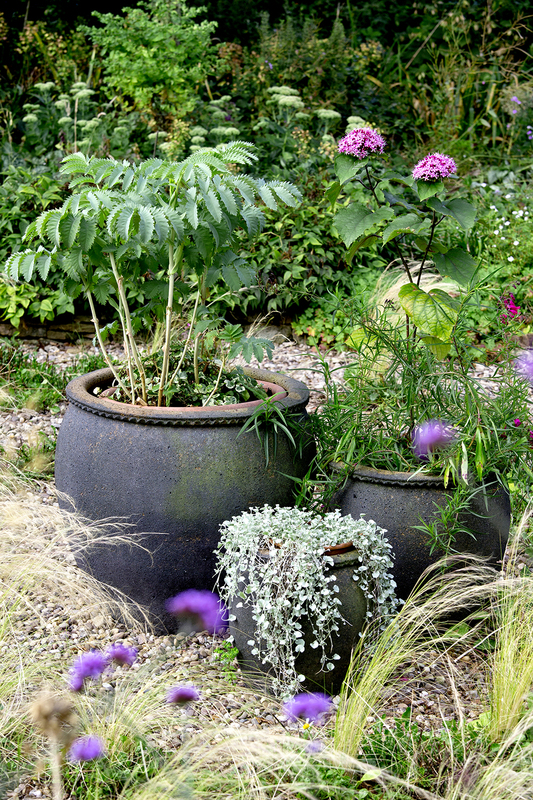 Nowadays her garden is a picturesque retreat with bags of character and a billowing, natural look. 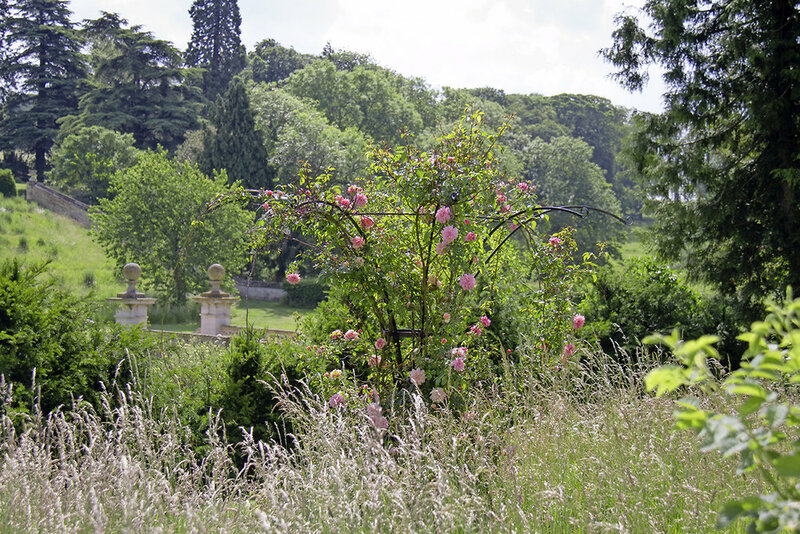 The garden has a formal layout that belies Louise’s relaxed approach to self-seeders. 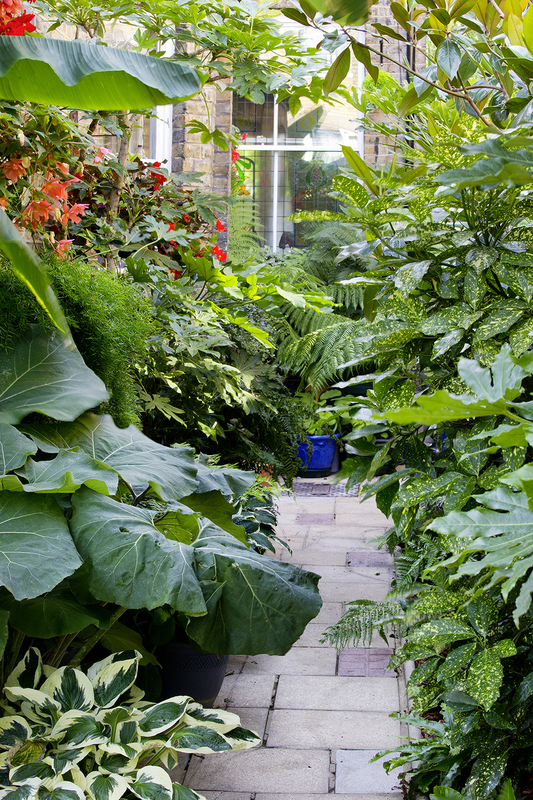 “But within the formal structure I have plants spilling over border edges to create more interesting shapes. Filling the garden with plants like this helps to keep weeds down. “I also avoid turning the soil. Digging gives annual weed seeds a chance to germinate,” she explains.